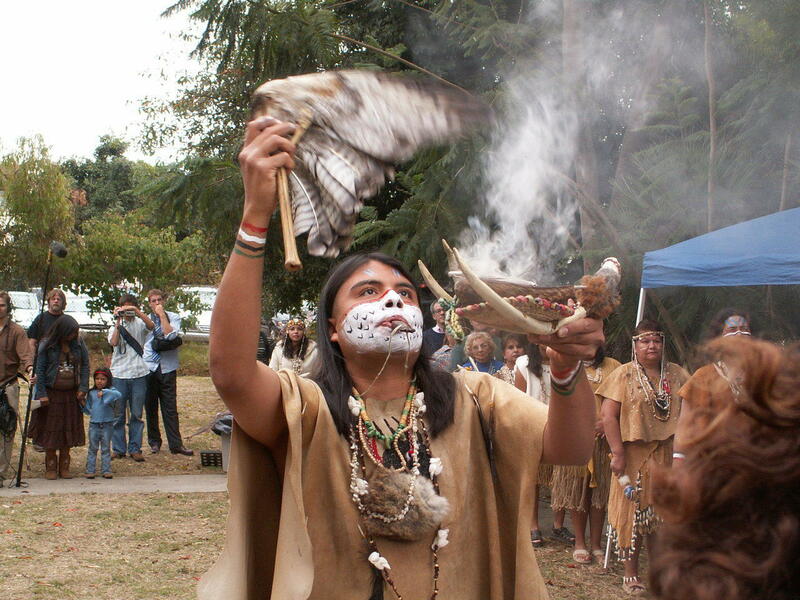 This was originally a 3-part series of articles on the Tongva people by Cindy Hardin, LA Audubon Director of Outdoor Education, including the Ballona Wetlands Education Program, and Jane Beseda, Director at Large, Santa Monica Bay Audubon Society. See references at the end of Part III. 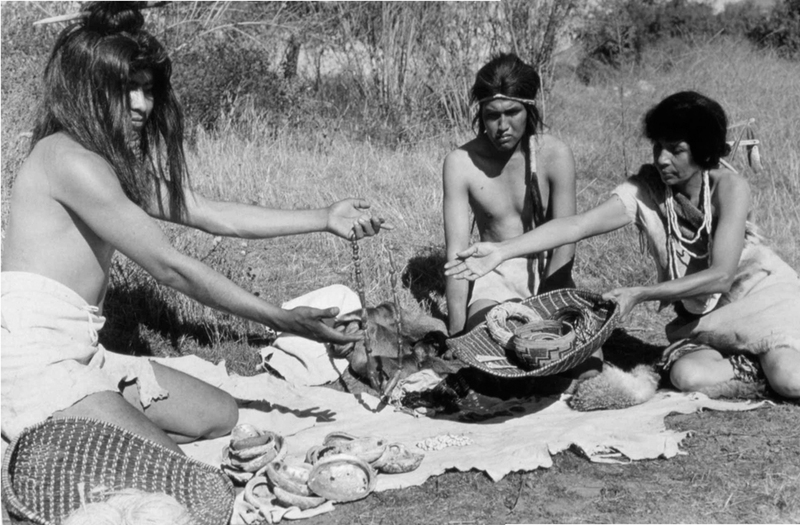 The Tongva cooked outside over open fires as a communal activity. To shade them as they worked, each group of kiiys (dwellings), had a large structure without walls, called a ramada by the Spanish. 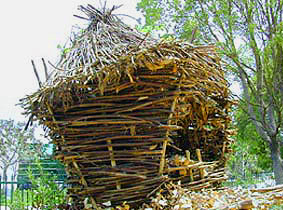 Like the kiiy, the ramada was framed with willow branches, with the roof covered by tules. Each cluster of dwellings also had a raised storehouse, or granary, for acorns. The granary was a large basket woven from young, pliable willow branches and lined with the leaves of the Bay Laurel tree. The leaves served two purposes: they kept the acorns dry, and the pungent laurel acted as a natural insect repellant. To protect the acorns from other contamination, the Tongva placed the granaries about six feet above ground on stands made of poles. 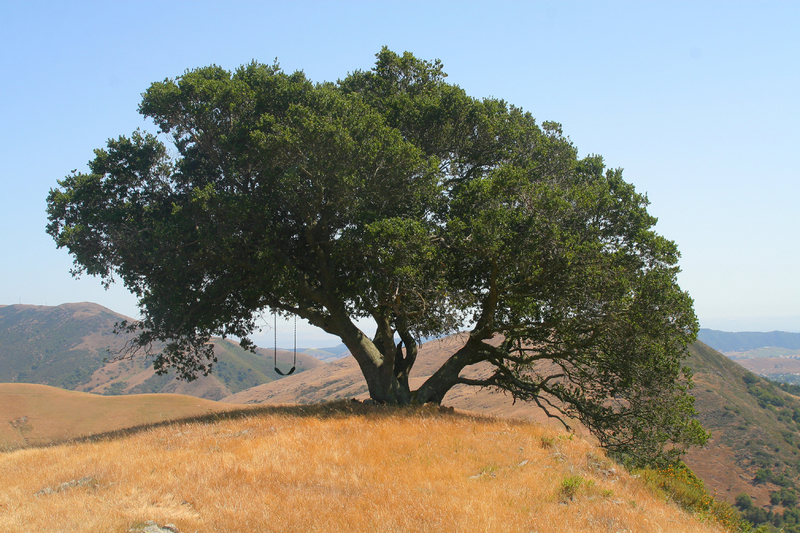 The acorns of various species of California oak, particularly the Coast Live Oak, provided the source for acorn mush, the staple of the Tongva diet. Acorn gathering was a group activity which occurred annually in the fall when the acorns were ripe. 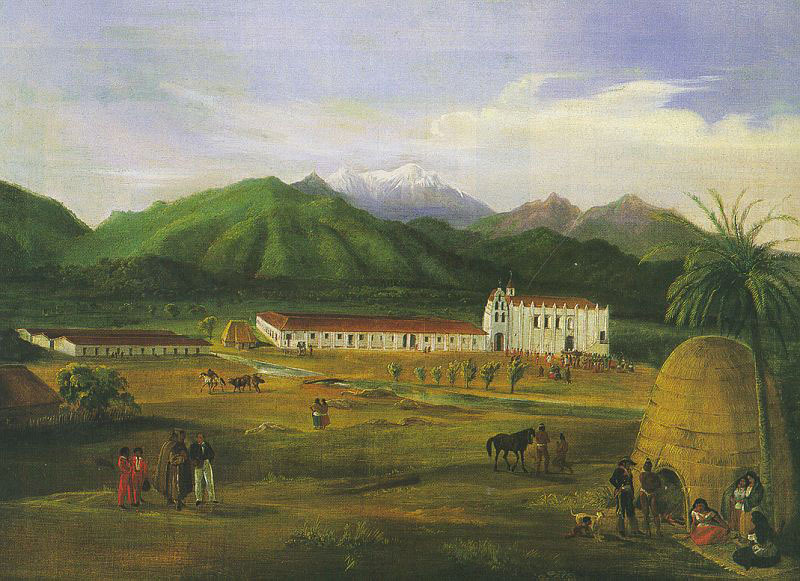 Foraging groups from the village of Sa-angna walked to the nearby Baldwin Hills, which are visible from Ballona, where Coast Live Oak grew in profusion. The Tongva carried the nuts back to their villages in burden baskets that held up to 200 pounds. They wore basketry hats to ease the pressure of the carrying strap that went across the forehead. These hats were also used as measuring standards for acorns and seeds. After the acorns were gathered and shelled, they were pounded in a stone or wooden mortar. The bitter tannin in the meal was leeched out with water through several rinse cycles. Then the meal was boiled in tightly woven watertight baskets by dropping super-heated rocks of steatite, or soapstone, into the water. The rocks were moved constantly with looped stirring sticks, so as not to scorch the basket. The Tongva ate the mush cold. 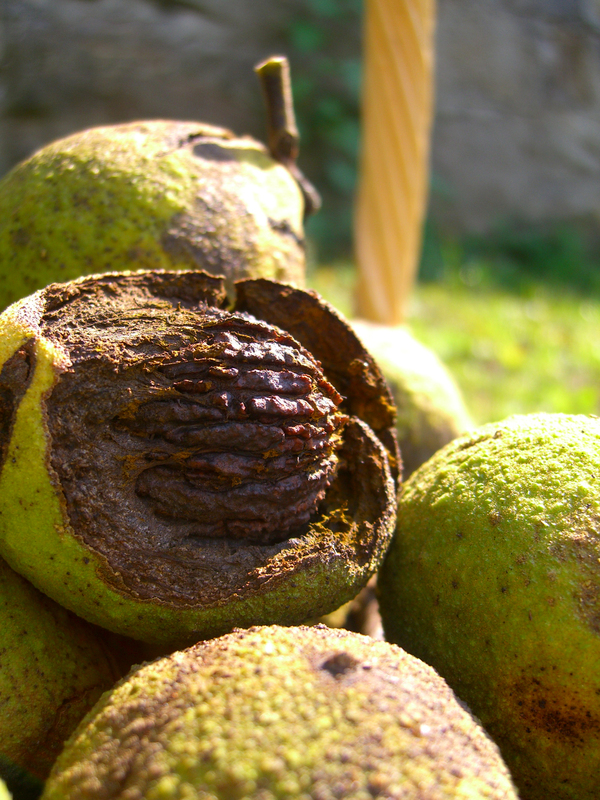 The Black Walnut was another important plant resource. They ate the meat of the walnut, and used the inner shells to make a black dye. The Tongva were excellent basket weavers and used this dye to decorate their handiwork. They filled the empty shells with asphaltum, a sticky black substance that naturally seeps up from the ground in the Los Angeles area, as we can still see today at the La Brea Tar Pits and on our local beaches. They pressed pieces of abalone shell into the asphaltum, and used the walnut halves to gamble in a type of dice game. The sea was an abundant source of food. 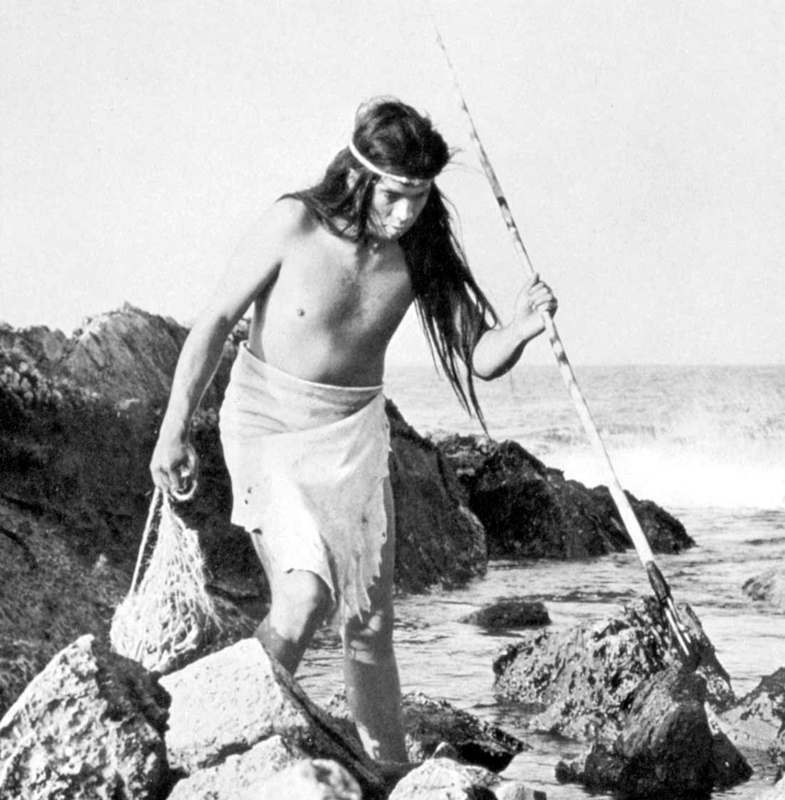 The Tongva caught small schooling fish with nets, and larger fish with hooks of abalone shell or bone. The fiber for both the nets and the fishing lines came from the milkweed plant. Although they did not hunt whale, occasionally one would wash up on shore, and they would harvest the meat. At low tide, they dug for clams, and collected shellfish and crustaceans, which they steamed in pits layered with hot coals and seaweed. Ballona Creek also teemed with fish and freshwater crustaceans. Steelhead Trout would head up the creek annually to spawn, as they did in all the local rivers and streams at that time. The Tongva hunted land animals for their fur and meat, and kept dogs to help with the hunt. The region was full of wild game, including bear. Grizzly Bears were present in the Santa Monica Mountains, and would come down to take advantage of the steelhead spawning. Although the Grizzly disappeared from this area long ago, the Black Bear is still present in our local mountains. 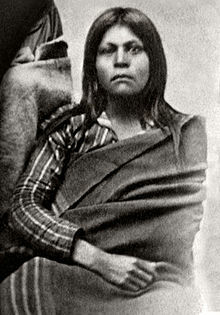 Deer and elk were hunted from blinds, with their meat used for food and skins used for clothing. Arrows were fashioned from Elderberry branches, with arrowheads made of obsidian, a volcanic rock they obtained as trade goods from tribes to the north. Sometimes a hunter would dress in a full deerskin—head, antlers and all—and stand downwind from a herd of deer. Hunters would also rub their bodies with California sagebrush to camouflage their scent. This would allow them to get close enough to make a clean kill. Smaller animals were also important to the diet. Burrowing animals were smoked out of their holes, and rabbits were herded into nets. According to village edict, a hunter or fisherman was required to share his catch with the rest of the group. This rule helped to prevent hoarding and enhance group survival. 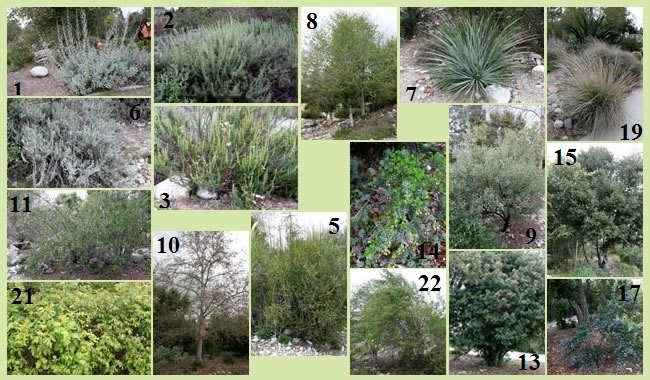 The Tongva used native plants for first aid, many of which can be seen at the Pitzer College native garden. A list of Medicinal Plant Uses was compiled by Barbara Courtois, founder of the Ballona Audubon Education Program. 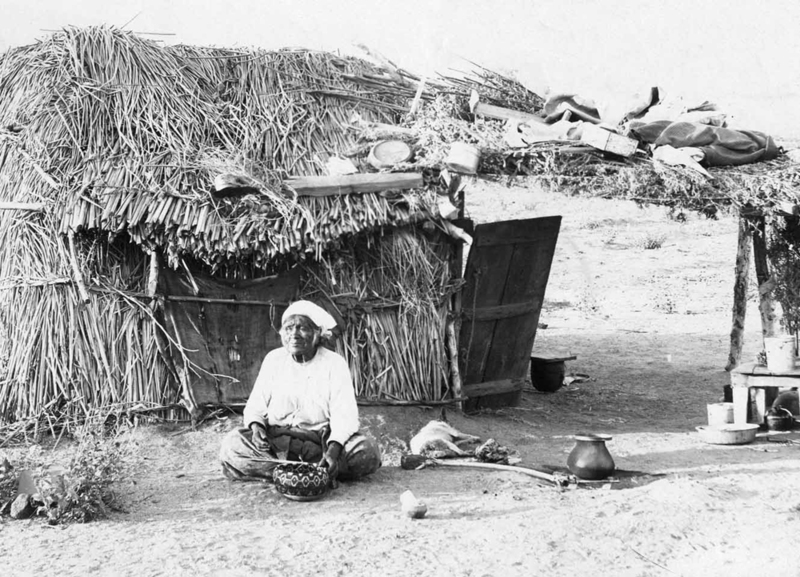 In addition, a list of general uses of natural materials such as plants, minerals, and animals is included in the book California’s Chumash Indians, a project of the Santa Barbara Museum of Natural History Education Center. Tongva native garden at Pitzer College. Key to photos. 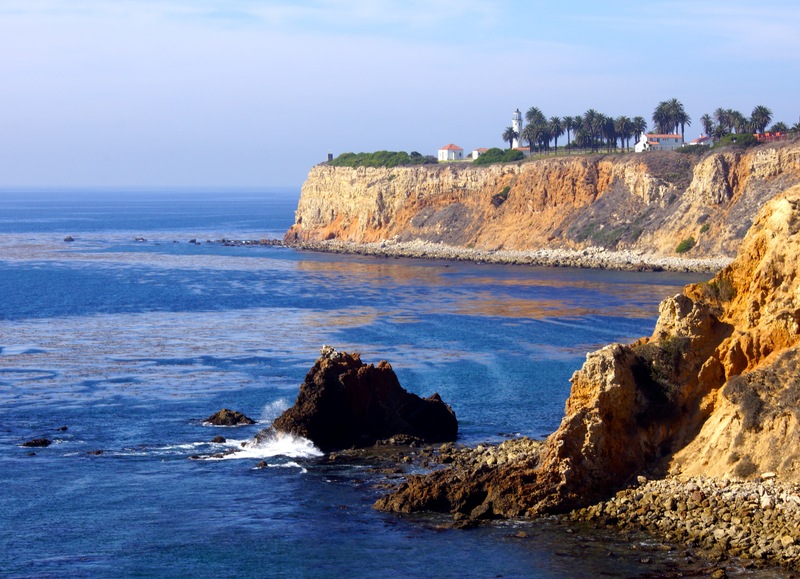 The Tongva’s skill as boat builders helped to facilitate this trading. The most common kind of watercraft used by the Tongva was the ti’at, a plank canoe made from driftwood. Redwood and pine planks would be shaped using stone axes and drills, and then sewn together with fiber string and sealed with tar. Ti’ats could hold anywhere from three to twenty passengers, including a young boy whose job it was to bail water. These seaworthy boats allowed the mainland Tongva to trade with the island-dwelling Tongva on Santa Catalina, San Clemente and San Nicolas. This was very important, as steatite, or soapstone, was quarried on Santa Catalina. Steatite can be heated directly over fire without breaking, and was carved into cooking bowls. Steatite chunks were also superheated and dropped into watertight baskets in order to bring liquids to a boil. Meat, seeds and acorns were traded for this important material. 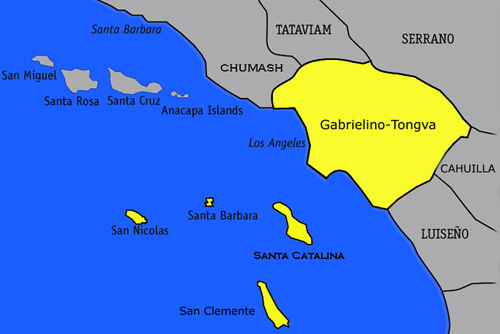 Catalina Island Conservancy, a private land trust that protects 88% of Catalina Island, Avalon. *Los Angeles County Natural History Museum, this extensive museum includes many exhibits that touch on Tongva history, including Becoming Los Angeles Exhibit, La Brea Tar Pit Excavations Exhibit. Exposition Park, Los Angeles. On the Museum’s website, search on keywords Native Americans for a list of current exhibits. The main Native American section is tucked in the back on the west end of the first floor. 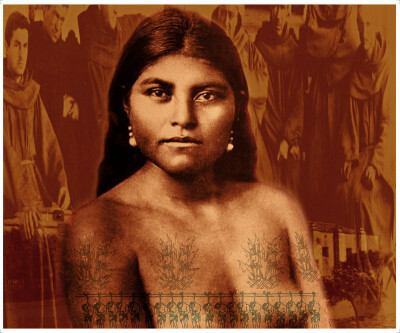 *Bowers Museum of Cultural Art, Southern California Indian Curriculum Guide: a resource for teachers, 2002 N Main St., Santa Ana, CA. Loyola Marymount University, Hannon Library, Gabrielino Indians Publications Collections and Art and Documentaries, 1 Loyola Marymount University Dr., Los Angeles, CA.